The market is brimming with a vast array of consumer hygiene products, from diapers for babies to feminine sanitary items. Eurofins’ sophisticated and realistic testing device revolutionised leak protection testing, providing manufacturers with reliable information about the effectiveness of products. In 1991, Eurofins launched SCAN 1, a first-of-its-kind testing device for diapers (nappies). This exciting dynamic “model baby” offered a valuable validation tool and the first alternative to costly and hard to implement consumer panels. Not only did it allow Eurofins to provide very real technical feedback, but also to simulate realistic user conditions. Since its birth, the device has evolved into a third iteration – SCAN 3. 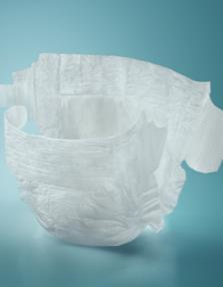 Leak protection is the best quality indicator for diapers, and this forms the core focus of the SCAN 3 device. The parameters can be set for a wide range of realistic uses, focusing on known criteria around pressure, the quantity and number of instances of urine discharge, gender, and positions during use. Furthermore, the dynamic nature of the model’s software allows testers to reproduce typical ‘day-time’ positions and ‘night-time’ positions for both sexes. This innovative device is able to test not only the core absorption of the diaper but also other factors that may affect its efficiency, such as the shape of the product during wear, the degree and manner of “gathering” during movement to a standing position, and tape resistance. Validated since 1998, the SCAN range has seen technical advances including an anatomical ability to move the device’s “legs”, and the availability of devices in a range of sizes. Testers are also now able to quickly switch the device from one position to another, a feature that has further enhanced the degree of confidence that manufacturers, and consumers, can have in the absorbency of their products. The pioneering new SCAN 3 simulation device can be used in the debugging phase of a product test to provide useful and reliable technical feedback, based on qualitative indicators, and so reduce R&D costs. Later in the product development process, the tool can facilitate the pre-selection of prototypes. As part of this innovation, Eurofins has developed a further enhancement to the way in which pressure is tested on products. Now completely independent of the weight of the model, pressure is still exerted from top down, but is completely variable for the first time and can be adjusted for the weight desired via a secured arm with vertical mobility.